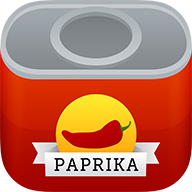 To import emails sent from other Paprika users, simply open the .paprikarecipe attachment file included in the email. It will automatically open in your copy of Paprika. Other emails can be imported by copying and pasting their contents into your copy of Paprika.